Clear out the stuffy and stale and welcome in the great outdoors when you melt the Clothesline Scentsy Bar. 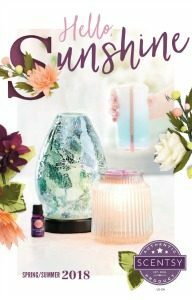 Also available in Scentsy Room Spray and Scent Circle. Fresh as a warm outdoor breeze. Clothesline Scentsy Bar welcomes the return of spring and summer with a quaint wicker basket of blossoms and herbs, with a light touch of cream. Banish the dreary and stale air of closed in days and cold weather with a deep breath of this clean and airy scent. Orange flower and herbal greens with violet are the aromas of a beautiful warm day. Nothing else smells like wind and sun dried laundry, at least not until this brilliant mix was unclipped and brought inside for all to enjoy. Shop the complete line of Fresh Clothesline fragrances below.